Yesterday we went for a trip to Zemplén Adventure Park. We think that all of us have a great time durning the trip. We were singing and sleeping in the bus after very exhaustive day. The Zemplén Adventure Park is Hungary’s most exciting park of pleasent experincies. 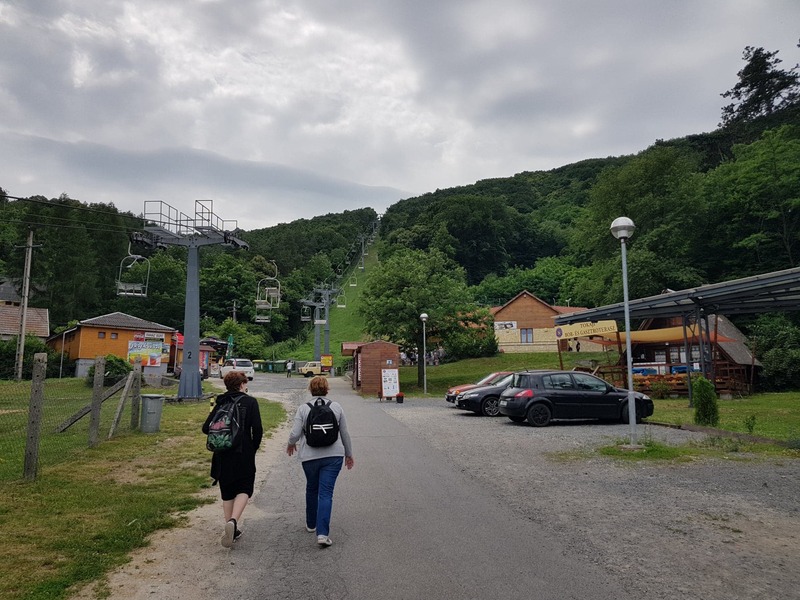 There were some things to do like charlift on the Magas hill, BOB track, climbing Wall Centre, Tubby tracks, Extrem slid through ropeway – “Hawk” and much more. Unfortunately we didn’t have much time so we were only on BOB track. In my opinion that was very exciting experience because of sharp turns on the track and high acceleration. it’s the country’s and the region’s longest bob track with its length of 2275 meters. The sliding is done by an absolutely secure bobsleigh fixed on four pipes. Every passenger controls the bobsleigh independently, which automatically brakes down at a speed of 37 km/h, which also ensures the safety of sliding. The features, location and beauty of the track provide an unforgettable experience to velocity-enthusiasts. The castle was built by Andrew II, and it´s the birthplace of Saint Elisabeth, his daughter. In the 15th and 16th century the castle was owned by the Paloczi family. Later it was owned by the rakoczi family. It was really important during the revolution and war of independence against Habsburg rule, led by Francis II Rakoczi between 1703 and 1711. The oldest part of the castle is the five storey red Tower. It was built in the late 15th century. Inside there are many rooms in excellent condition. The palace wing, in renaissance style, is connected to the red tower by a 17th century loggia called Lorantffy gallery. Now it contains the rakoczi exhibition.